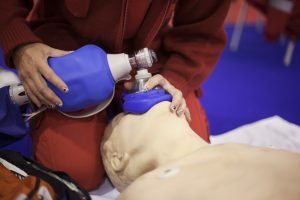 This course is designed to teach the skills of CPR for victims of all ages, use of an automated external defibrillator and relief of choking. This course is designed to teach the skills of CPR for victims of all ages, use of an automated external defibrillator and relief of choking. 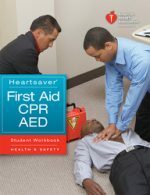 A student CD, included with the text, contains supplemental information for interested students on topics such as stroke, cardiac arrest, and special resuscitation situations. The course is video-based with instructor-led discussion and simulation. Students participate in, practice and complete various skills and learning stations. Ideal for those who prefer group interaction and feedback from an instructor while learning skills. 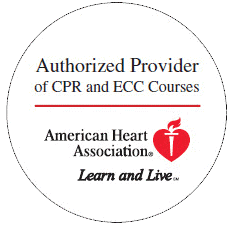 For healthcare providers – for example, EMS personnel, physician assistants, physicians, dentists, nurses, respiratory therapists and others who must have a credential (card) documenting successful completion of a CPR course.